Start off your visit on the 1st (Sun): take in the spiritual surroundings of Kamppi Chapel of Silence, admire the masterpieces at Kansallisgalleria, pause for some serene contemplation at Helsinki Cathedral, take in the spiritual surroundings of Uspenskin Cathedral (Uspenskin Katedraali), then don't miss a visit to Senate Square, and finally brush up on your military savvy at Sea Fortress Suomenlinna. Keep things going the next day: contemplate in the serene atmosphere at Rock Church, then get engrossed in the history at Seurasaari Island and Open-Air Museum, and then appreciate the extensive heritage of The Esplanadi Park. For traveler tips, other places to visit, where to stay, and other tourist information, you can read our Helsinki trip planner . Berlin, Germany to Helsinki is an approximately 5-hour flight. You can also do a combination of flight and ferry; or drive. The time zone difference when traveling from Berlin to Helsinki is 1 hour. In September, daily temperatures in Helsinki can reach 19°C, while at night they dip to 8°C. Cap off your sightseeing on the 2nd (Mon) early enough to travel to Rovaniemi. Kick off your visit on the 3rd (Tue): look for gifts at Your Piece Of Finland, get engrossed in the history at Arktikum, explore the fascinating underground world of Syvasenvaara Fell, then see Santa Claus Office, and finally get in on the family fun at Santa Claus Village. On the 4th (Wed), you'll have a packed day of sightseeing: pause for some serene contemplation at Rovaniemi Church, then see exotic creatures in open habitats at a safari tour, and then get in on the family fun at SantaPark - the Home Cavern of Santa Claus. Traveling by flight from Helsinki to Rovaniemi takes 4 hours. Alternatively, you can do a combination of flight and train; or drive. Traveling from Helsinki in September, you will find days in Rovaniemi are a bit cooler (13°C), and nights are about the same (6°C). Cap off your sightseeing on the 4th (Wed) early enough to travel to Helsinki. 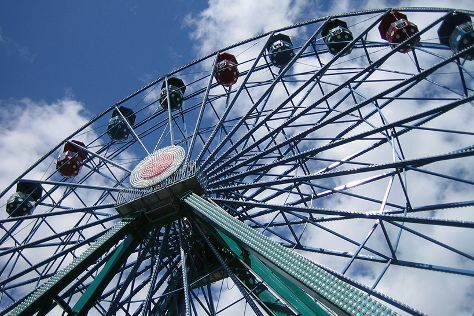 On the 5th (Thu), get in on the family fun at Linnanmaki Amusement Park. To see other places to visit, ratings, and other tourist information, go to the Helsinki trip planner . You can fly from Rovaniemi to Helsinki in 4 hours. Alternatively, you can do a combination of train and flight; or drive. Expect a bit warmer weather when traveling from Rovaniemi in September: highs in Helsinki hover around 19°C, while lows dip to 8°C. Cap off your sightseeing on the 5th (Thu) early enough to travel back home.